Windows XP, Windows Vista, Windows 7 and Windows 8 are also supported. All management programs are linked. 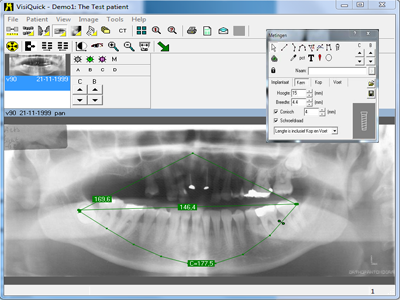 VisiQuick integrates with the world’s most popular digital sensors, imaging plate systems, digital panoramic devices, digital cameras, scanners, and video sources. 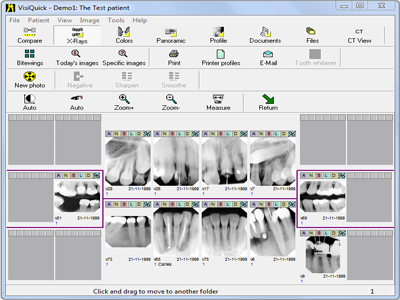 Import & export all image types you need in your clinic. Image enhancement functions (gamma correction, linear and uniform correction, etc). Photo comparisons with up to 4x4images on screen. 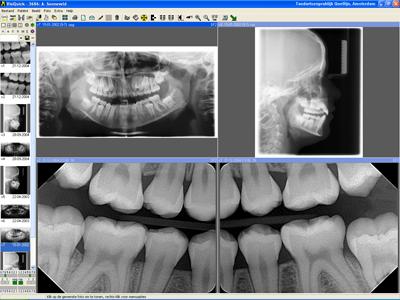 X-Ray and other images (intra oral, Panoramic, and Cephalographic). Extra oral and intra oral photos. Extra- and intra-oral color status. Uncompressed or compressed saving of photos to disk. Compressed is approx. 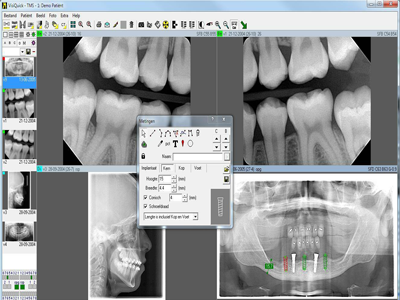 25,000 X-Ray photos in 1GB disk space. Compression using ZIP loss-less format. Printout in color or black and white on normal paper or CD. 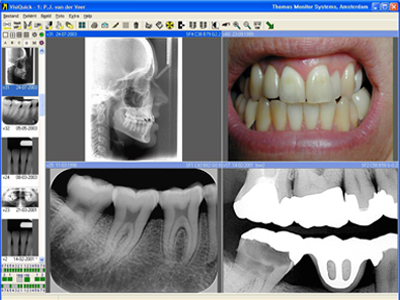 1 to 4 photos per page, with patient notes, photo notes and measurement data.